Phonics is defined as knowing that the letters and the sounds they make have an association with each other. Using phonics is the way that we teach our children about sounds, letters, words and sentences. Once a child is confident enough to use phonics, they can begin to connect the sounds the letters make, then they put them together (almost like a jigsaw) to make words. Although it sounds simple in theory, the practice of phonics is much harder. The English alphabet has 26 letters, but these 26 letters make 44 sounds. This can cause confusion for some children, but eventually everything will fall into place. 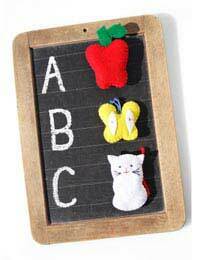 Your child will begin to learn phonics by sounding out the letters and putting them to words. For example, the sound that the letter “g” makes in the word “girl” or “d” for “dog”. For the extra 18 sounds, additional letters are added for the different sounds. For example, using the sounds that “ch” and “sh” make. Eventually, once your child has mastered the ability to use phonics, they will be able to decode new words and see the link between the letters, sounds and the words. Most children don’t come across phonics until they go to school. However, there are lots of fun activities you can do together at home. For starters, reading is a fantastic way to introduce phonics to your children. Choose alphabet books with bright, interesting colours and sound out the letters and the words. When your child starts school, they will be taught phonics both sequentially and systematically. Your child will be given easy one or two word books that will have a repetitive nature. They will also be given plenty of practise and lots of time. When at school, they will be given plenty of chance to read aloud with a teacher to further their understanding of the letters and the words. The teacher will guide your child through the letters and words, and they will correct them along the way. There are many ways that you, as the parent, can help your child progress with phonics. Keep in regular contact with your child’s teacher – It’s always a good idea to be in touch with your child’s teacher for many reasons. They can advise you on how to help with your child’s education, what you can be doing to encourage them and so on. The teachers are also there in case you have any worries or concerns. Read favourite books – There is nothing like repetition for helping your child to learn. The books that have simple words and themes are great for helping your child’s fluency and confidence. A basic rule of thumb is that if you are reading a book together with 5 or more unknown words, it is too challenging for your child. To make it fun, why not each read a paragraph or page. Read aloud regularly – Reading aloud is a great way to introduce new and exciting words to your child’s vocabulary. But, when you are reading aloud, make it as interesting and exciting as possible. Make up voices for each character and act out the story. Don’t worry about your inhibitions, you will not look silly and your child will love you for it! Ask questions – You can help your child’s understanding of the story by asking questions about what you have read, or are about to read. For example, you can ask “what do you think is going to happen next”, or “Why do you think they are going to go there”. Lead by example – If you want your children to grow up with a love of reading, then the best way to encourage this is for you to read. Have lots of books readily available and try to make weekly trips to the library. Phonics is only the first step to learning how to read, write and speak clearly. Remember to start early and instil a love for reading and writing in your children.